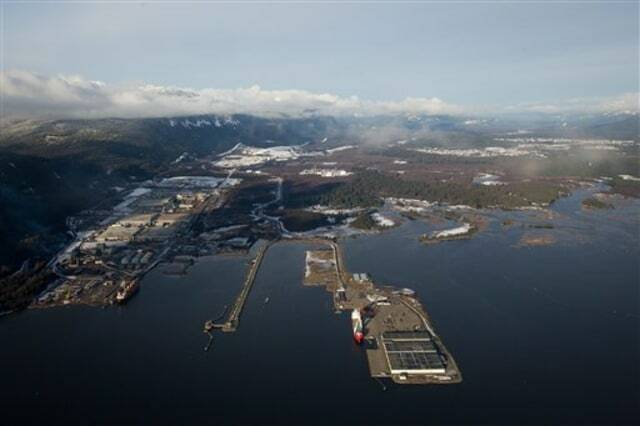 British Columbia's Douglas Channel, the proposed termination point for an oil pipeline that could serve China, is seen on Jan. 10. Rio Tinto Alcans smelter is at left and the town of Kitamaat at upper right. People here still remember the Exxon Valdez oil spill of 1989, and oil is still leaking from the Queen of the North, a ferry that sank off nearby Hartley Bay six years ago.